Power Fab Top of Pole mount for 6 Type-F Modules 38-42 x 58-61. 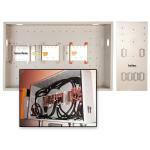 Notify me of updates to Power Fab Top of Pole mount for 6 Type-F Modules 38-42" x 58-61". 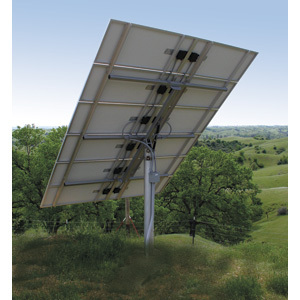 Power Fab Top of Pole mount for 6 Type-F Modules 38-42" x 58-61". Power Fab Top of Pole mount for 6 Type-D Modules 31-33" x 60-67".Power Fab Top of Pole mount for 6 Type-B Modules 20-26" x 39-50"Power Fab Top of Pole mount for 6 Type-A Modules 19-23" x 35-44".Power Fab Top of Pole mount for 6 Type-C Modules 22-27" x 56-63".Power Fab Top of Pole mount for 6 Type-E Modules 38-40" x 51-53".Power Fab Top of Pole mount for 6 Type-G Modules 37-42" x 61-67".Power Fab Top of Pole mount for 6 Type-H Modules 38-40" x 77-78".Power Fab Top of Pole mount for 4 Type-B Modules 20-26" x 39-50".Power Fab Top of Pole mount for 1 Type-C Module 22-27" x 56-63"Power Fab Top of Pole mount for 3 Type-G Modules 37-42'" x 61-67"Power Fab Top of Pole mount for 4 Type-D Modules 31-33" x 60-67"Power Fab Top of Pole mount for 2 Type-B Modules 20-26" x 39-50".Power Fab Top of Pole mount for 1 Type-B Module 20-26"" x 39-50"Power Fab Top of Pole mount for 4 Type-E Modules 38-40" x 51-53".Power Fab Top of Pole mount for 3 Type-D Modules 31-33" x 60-67".Power Fab Top of Pole mount for 3 Type-B Modules 20-26" x 39-50".Power Fab Top of Pole mount for 2 Type-F Modules 38-42" x 58-61".Power Fab Top of Pole mount for 4 Type-F Modules 38-42" x 58-61".Power Fab Top of Pole mount for 9 Type-G Module 37-42" x 61-67"Power Fab Top of Pole mount for 2 Type-G Modules 37-42'" x 61-67"Power Fab Top of Pole mount for 4 Type-G Modules 37-42'" x 61-67"Power Fab Top of Pole mount for 4 Type-C Modules 22-27" x 56-63".Power Fab Top of Pole mount for 8 Type-G Module 37-42" x 61-67"Power Fab Top of Pole mount for 4 Type-A Modules 20-26" x 20-50".Power Fab Top of Pole mount for 1 Type-G Modules 37-42'" x 61-67"Power Fab Top of Pole mount for 2 Type-C Module 22-27" x 56-63"Power Fab Top of Pole mount for 9 Type-H Module 38-42" x 77-82"Power Fab Top of Pole mount for 2 Type-H Module 38-42" x 77-82"Power Fab Top of Pole mount for 12 Type-G Module 37-42" x 61-67"Power Fab Top of Pole mount for 4 Type-H Modules 38-40'" x 77-78"Power Fab Top of Pole mount for 3 Type-C Module 22-27" x 56-63"Power Fab Top of Pole mount for 15 Type-G Module 37-42" x 61-67"Power Fab Top of Pole mount for 10 Type-C Modules 22-27" x 56-63".Power Fab Top of Pole mount for 14 Type-C Modules 22-27" x 56-63".Power Fab Top of Pole mount for 3 Type-H Module 38-42" x 77-82"Power Fab Top of Pole mount for 8 Type-H Module 38-40" x 77-78"